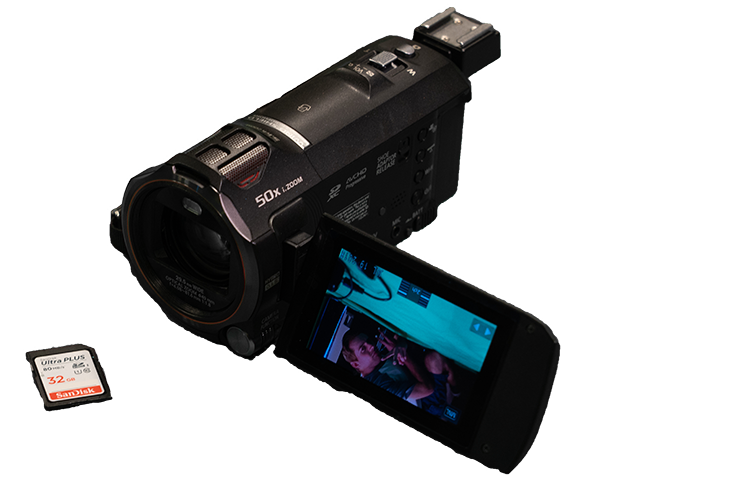 Our most basic camcorder, intended for quick and simple video shoots. Suitable for recording class presentations, video interviews, promos and skits, foreign-language projects, and many other situations in which automatic shooting is preferred. 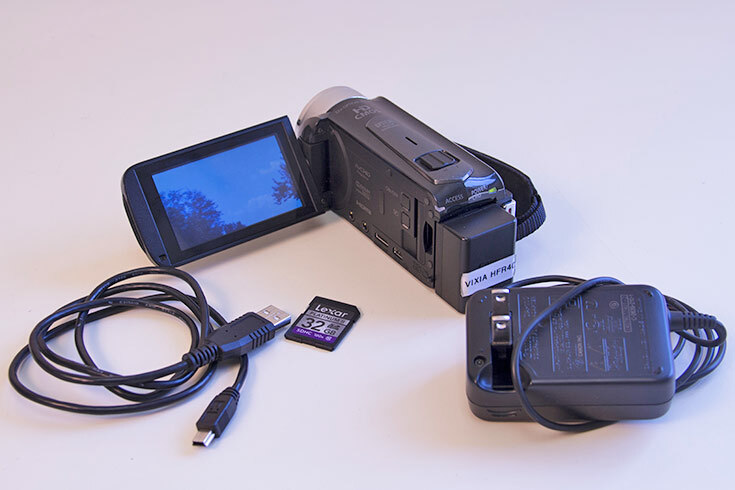 This camcorder is also very easy to use and good for general purpose video. It offers some manual control over focus and exposure and has a slightly larger image sensor than the Canon Vixia, which helps achieve better low-light performance and a shallow depth of field at maximum zoom range. It also includes a cold shoe for easy mounting of an external shotgun microphone. This DSLR camera offers intermediate users superb manual control for shooting both photos and videos. It also has automatic features that make it an accessible tool for entry-level still photographers. 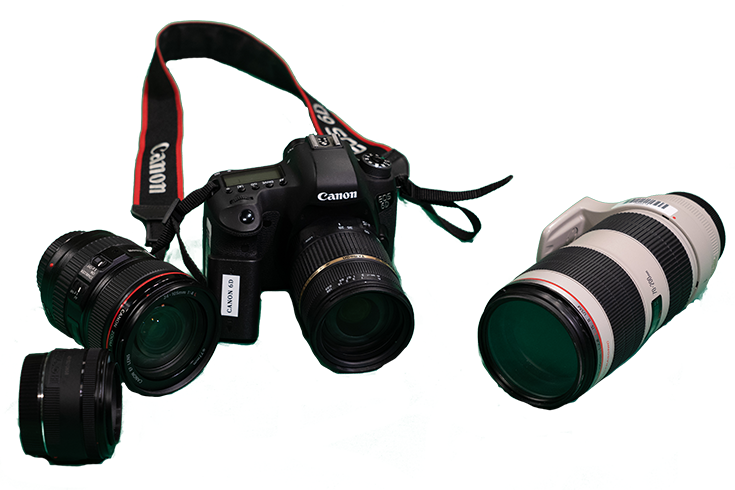 Lens options: 18-135mm f/3.5-5.6; 17-50mm f/2.8; 28-75mm f/2.8; 50mm f/1.8; 70-200mm f/2.8. This versatile camera offers all of the features of a pro video camera bundled into a compact mirrorless body, with a micro four-thirds sensor and resolutions up to 4K. It is our most popular choice for filmmaking at both the intermediate and advanced level. The camera also offers excellent manual controls for still photography. 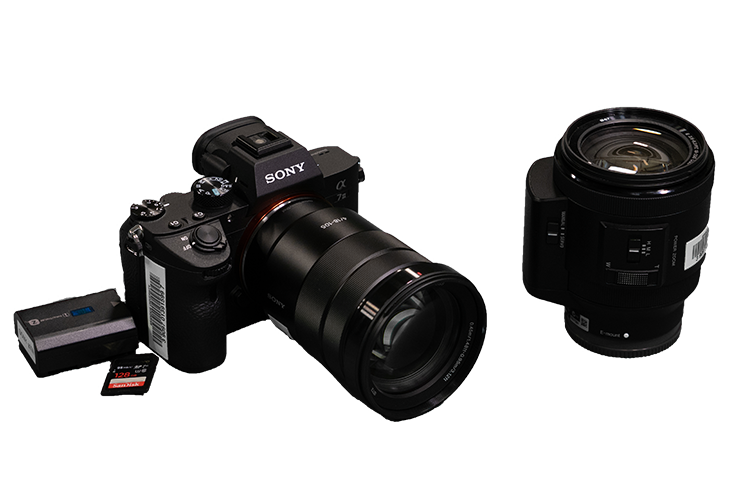 Lens options: 12-35mm f/2.8; 35-100mm f/2.8; 100-300m f/4.0-5.6; Zeiss prime kit. 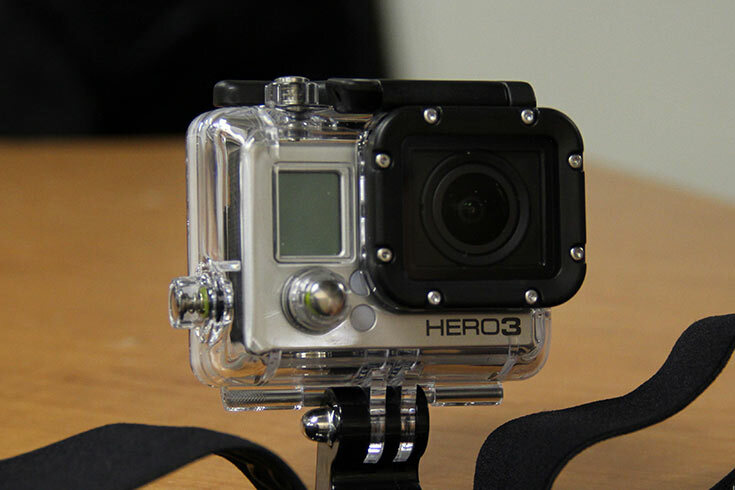 This compact ActionCam can be mounted on bicycles, helmets, or strapped to your chest. This camera has a full-frame sensor that performs exceptionally well in low light. Available by special request for advanced photography projects. 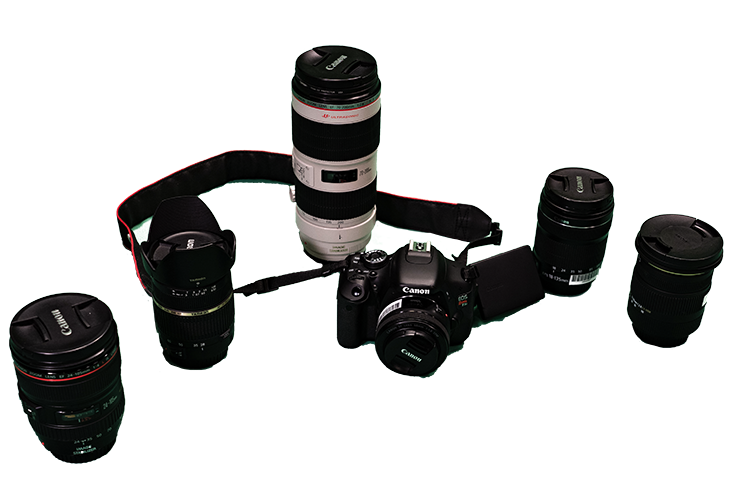 Lens options: 24-105mm f/4; 50mm f/1.8; 70-200mm f/2.8; 90mm macro f/2.8. Our Nikon camera also has a full-frame sensor and is available for advanced photography projects. We have a number of prime lenses with native Nikon mounts. Lens options: 24-120mm f/4; 80-200mm f/2.8; Nikon prime kit. This camcorder shoots both HD and 4K video with a Super 35mm sensor that performs very well in low light. It has a traditional video camera body that offers XLR inputs for capturing broadcast-quality audio in camera, making it a suitable choice for event videography. It also has a built-in ND filter for additional exposure control when shooting in bright light. 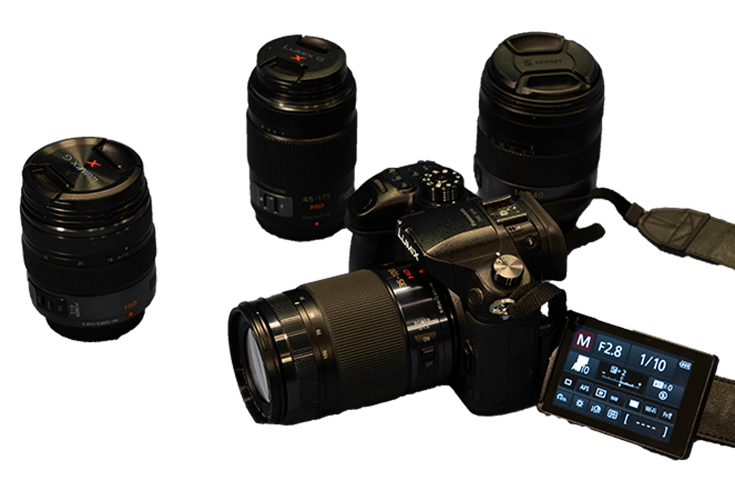 Lens options: 18-105mm f/4; 50mm f/1.8; Zeiss prime kit. 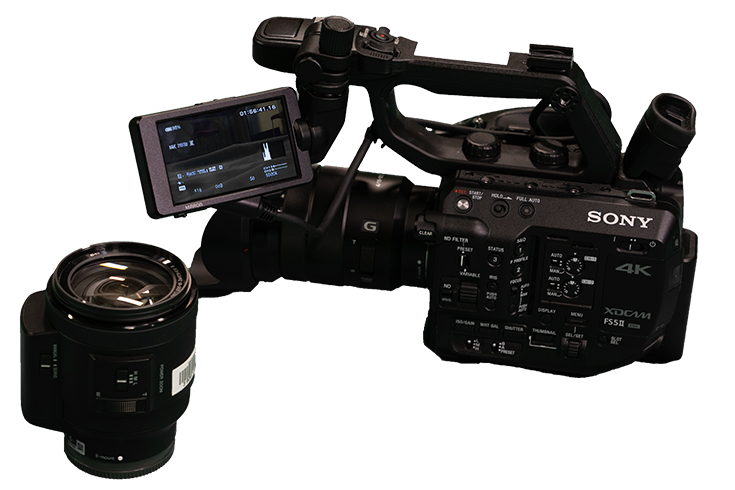 This camera offers much of the same imaging technology as our Sony FS5 camcorder. It has a full-frame sensor that can also be used in Super 35mm mode, depending upon the angle of view desired. A versatile choice for shooting both still images and video that offers superior low-light performance. Lens options: 24-105mm f/4; 50mm f/1.8mm; Zeiss prime lenses. Our Zeiss lenses have superior resolving power and are manual focus, making them an excellent choice for cinematography if you have enough hands to change lenses and camera setups during your shoot. 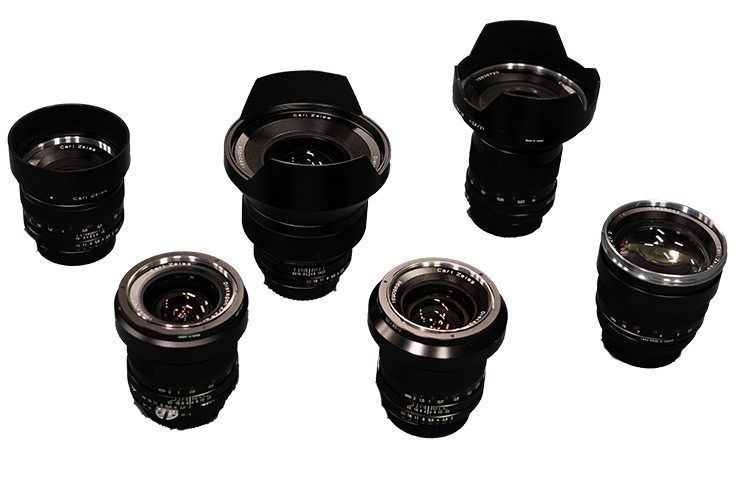 Each kit includes a 21mm, 28mm, 35mm, 50mm, and 85mm prime lens. These lenses are Nikon (F) mount but can be attached to our Panasonic and Sony cameras using the included adapters. 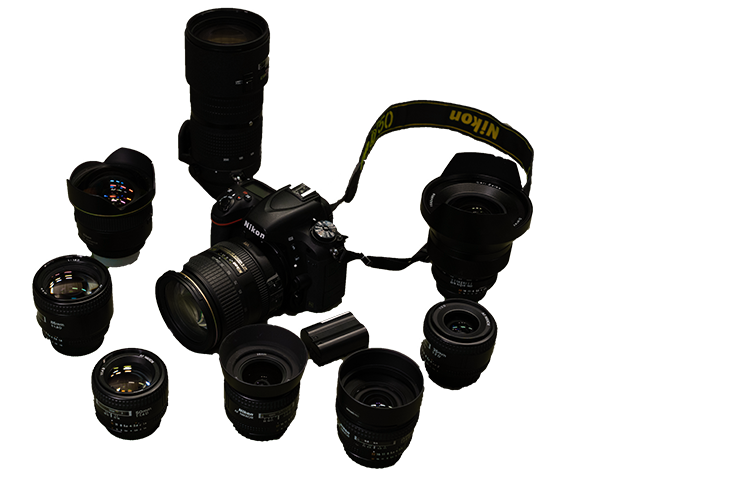 We also have one Nikon prime kit that offers similar focal lengths and the ability to autofocus, making this kit a better choice for advanced still photography shoots. Finally, we do have two specialty Zeiss prime lenses: a 15mm lens for ultrawide effects, and a 100mm macro lens for both distant and close-up cinematography.